Gordon Ramsay’s new Asian restaurant has sparked a cultural appropriation row after a food critic described the eatery as a “kitchen nightmare”. Last week, Ramsay and his head chef Ben Orpwood hosted a preview event for the restaurant, which is due to open this June in Mayfair, London. One of the journalists who attended the event was Angela Hui, a freelance writer for London-based food publication Eater. In her review of the Lucky Cat restaurant, Ms Hui described it as a “real-life Ramsay kitchen nightmare”. The food journalist also remarked that she was the “only east Asian person in a room full of 30 to 40 journalists and chefs” at the event. Ms Hui shared snippets from the preview event on her Instagram story throughout the evening, in posts that she included in her review of the restaurant. Under, Europe’s first underwater restaurant, opened on 20 March. Located on Norway’s southern tip, the unique dining space is submerged in the North Sea. The dining room is sparsely furnished, dominated by a huge glass window at the back. The building was designed by Snoehetta, the Norwegian architecture firm behind the September 11 Memorial Museum in New York. “The big window exposes the underwater not like an aquarium, it’s the real thing,” said Snoehetta’s founder Kjetil Traedal Thorsen. The exterior, a sloping wood and concrete cuboid that slants into the ocean, has a modern aesthetic, and is accessible via a steel bridge. The full 18-course tasting menu with drinks costs up to 3,700 krone (£330) per person. Some 7,000 diners are already booked in for this bucket list experience. Designers said the building is built to withstand extreme weather, including “the wave of the century”. Under is owned by the two Ubostad brothers who also have a nearby hotel. Co-owner Gaute Ubostad said they expect to attract around 12,000 diners each year. There’s room for around 40 guests in the underwater dining space. Although doors opened on 20 March to friends and family of the owners, paying guests will gain access from April. The chef stated that while it’s important that critics and reviewers have “freedom of speech”, the “slew of derogatory and offensive social media posts that appeared on Angela Hui’s social channels, were not professional”. Ramsay also referenced comments Ms Hui made about Mr Orpwood’s wife, in which the journalist described her as a “token Asian wife”. 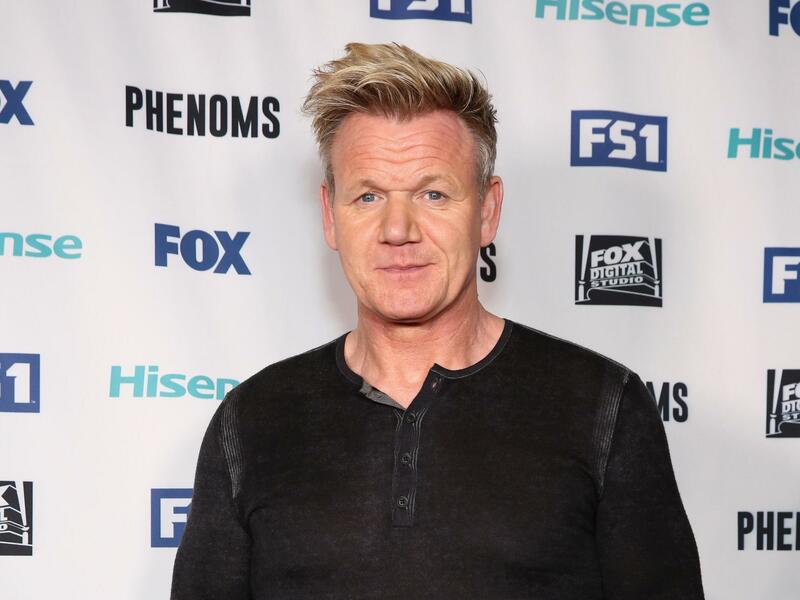 “It is fine to not like my food, but prejudice and insults are not welcome,” Ramsay said. The Independent has contacted Gordon Ramsay and Angela Hui for comment.